Tags: Audio interface for recording, Building a recording studio. a.) Internal/PCI based audio interface – which is popularity known as PCI soundcard. b.) 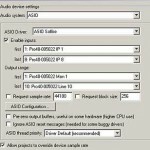 USB audio interface- audio interface that communicates to your computer via USB connections. 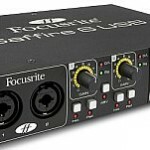 c.) Firewire audio interface – audio interface that communicates via Firewire connections. 1.) 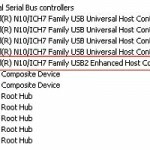 Connections that is supported by your computer- For example, you cannot easily install PCI soundcards to your laptop or netbook, so you will opt to select either USB or Firewire type of connections. 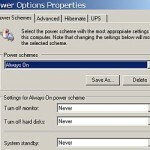 Also if your computer does not support Firewire, you opt to select USB audio interface only. For portability and convenience, I would recommend selecting between USB and Firewire audio interface. PCI soundcards is an old type of audio interface used in digital home recording studio and would not give you the best routing flexibility and convenience today. Remember to check the supported USB version and Firewire versions of the audio interface and make sure that it is supported also by your PC or Mac. 2.) Number of inputs and outputs – it all depends on what you are trying to accomplish. For example; a singer-songwriter with only intention to produce an acoustic demo could find the two inputs and two outputs audio interface enough for the projects. However if you are looking forward to “simultaneously” record more than two inputs such as a full band recording, then you will need 4 inputs or more. A full band recording needs at least 8 inputs like one input for Vocals, two inputs for guitars, one input for bass, and four inputs on drums. For most home studio projects, 8 inputs is the best way to go as you have sufficient inputs for either small or big recording projects(e.g. with drums). Do not also forget that if you are using condenser microphone, you will need a phantom power. So ensure that your audio interface should have its own phantom power source. Outputs of audio interface are equally important as the inputs. You need more than one output, like an output for your nearfield monitor, PA speakers, headphones, etc. 3.) Availability and Quality of the Pre-amp – I recommend you should buy an audio interface with a high quality pre-amp on it. This makes hardware mixers and other outboard pre-amps/DI boxes unnecessary. You cut cost and prevent hardware clutter in your studio. “Pre-amp” is important to boost the weak analog signal coming in to your audio interface from different instruments such as guitars, vocals, drums, etc. without adding noise, coloration and distortion. A high quality pre-amp can provide better recording quality (very low noise, strong signal to noise ratio and accurate/crystal clear reproduction). So if you are using an audio interface with pre-amped inputs, you simply plug your guitar and vocal microphones directly into it and adjust the gain control for sufficient level. NOT every audio interface has a pre-amp on all of its inputs, so you need to check. For example, an audio interface can only have 2 pre-amp inputs out of the 8 inputs. There are also audio interface with pre-amps for all of its inputs. The number of preamps depends on your needs, the higher the number of preamps on the audio interfaces the better. 4.) Supported bit depth and sample rate – this is one of the most important specifications. You should ensure that it SHOULD support 24-bit recording! Most USB and Firewire audio interface today however supports 24-bit recording except for those very low budget audio interfaces that only supports 16-bit recording. For best recording quality, you should buy a 24-bit audio interface. Sample rate is not as important as bit depth. However, make sure the audio interface should support more than 44.1 KHz sample rate. So 48 KHz is OK but if it supports different sample rates like 48 KHz, 88.1 KHz, 96 KHz- the better.